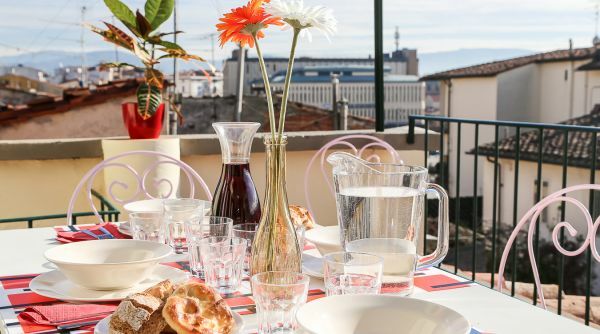 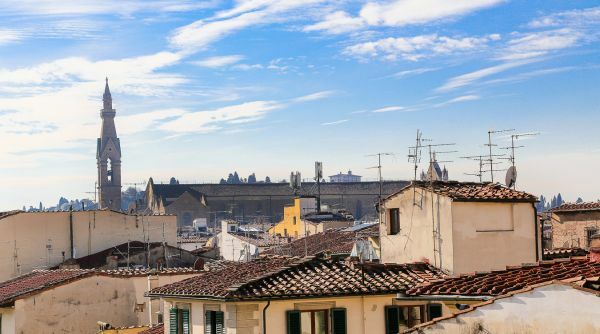 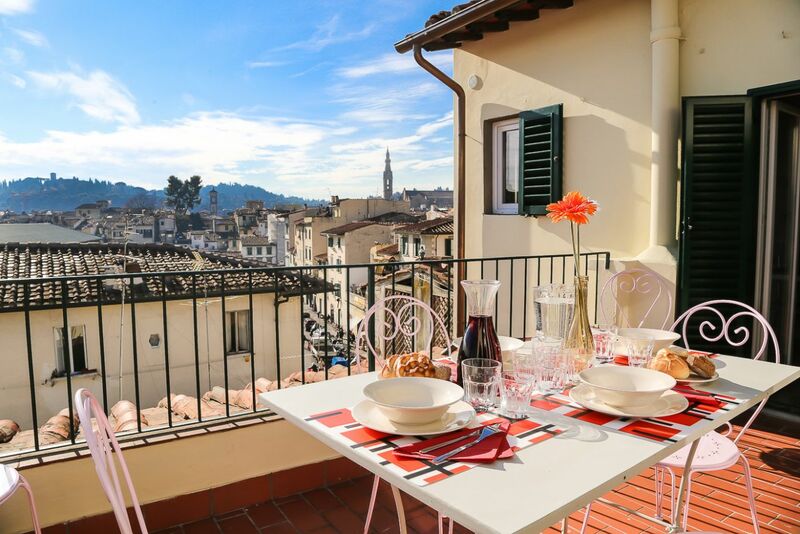 A cozy, modern home where to fully experience the authentic Florentine atmosphere, while enjoying the stunning rooftop view over Santa Croce neighborhood. 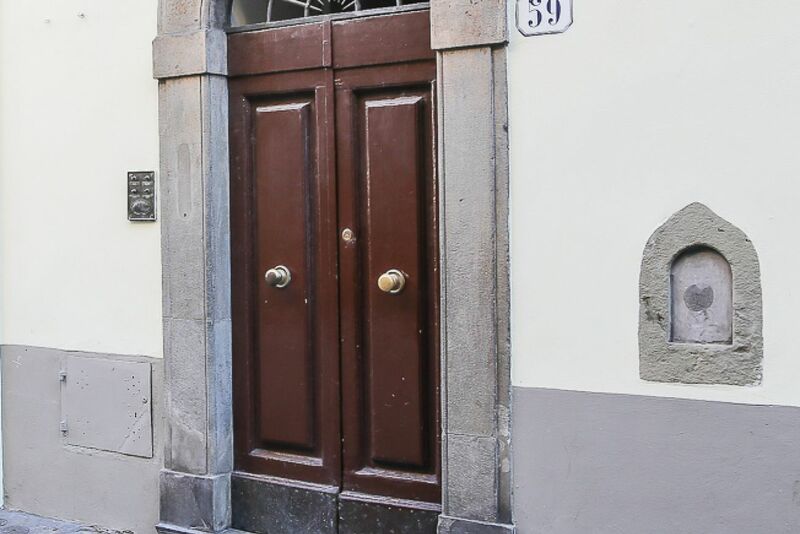 This apartment is located on the third and top floor of an historical building in Borgo la Croce, a lively and characteristic street in the heart of Sant'Ambrogio neighborhood. 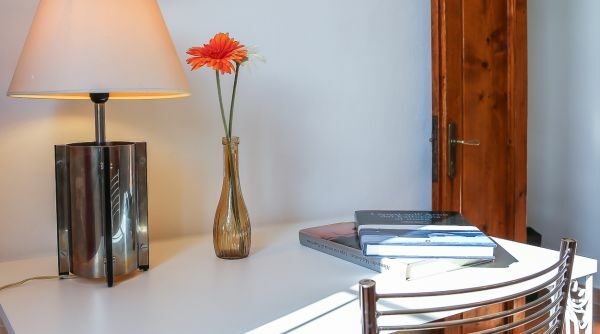 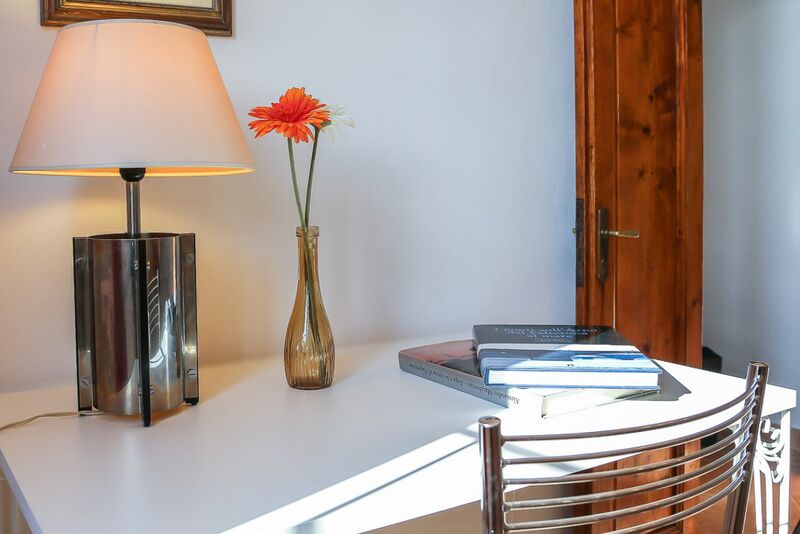 The whole place has just been renovated and redecorated with great style and attention to detail, combining modern features with rustic touches and providing all comforts, to ensure you a perfect stay in Florence. 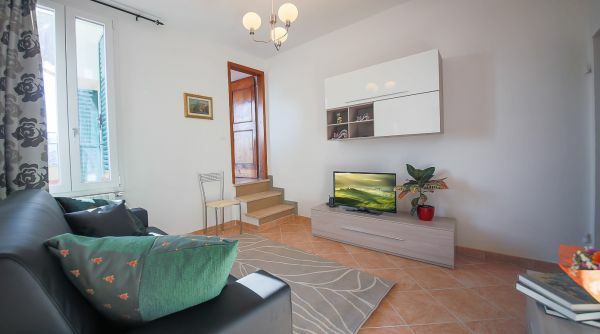 Entering the apartment you find a small hallway leading, up three stairs, to the spacious and luminous living area, equipped with a cozy sofa-bed, library and flat screen Tv. 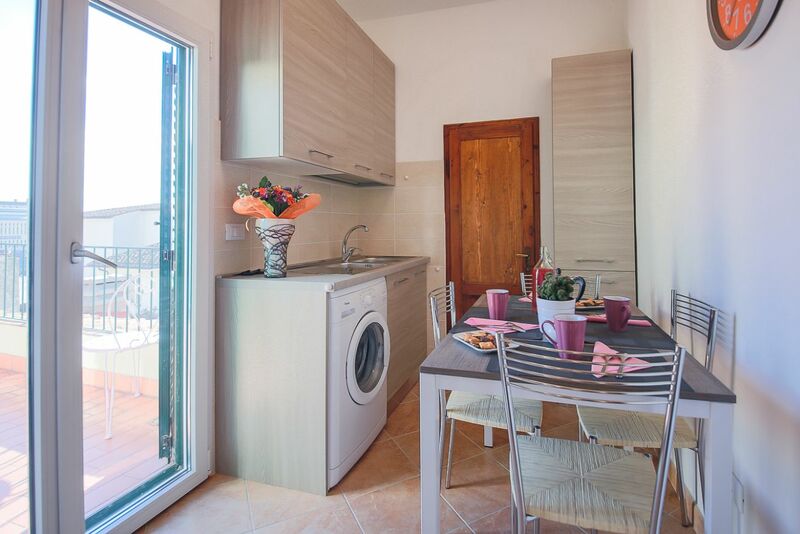 Another three steps lead up to the modern and functional kitchen, featuring anything you meed to cook your favorite Italian pasta during your stay, a nice dining table and laundry facilities. 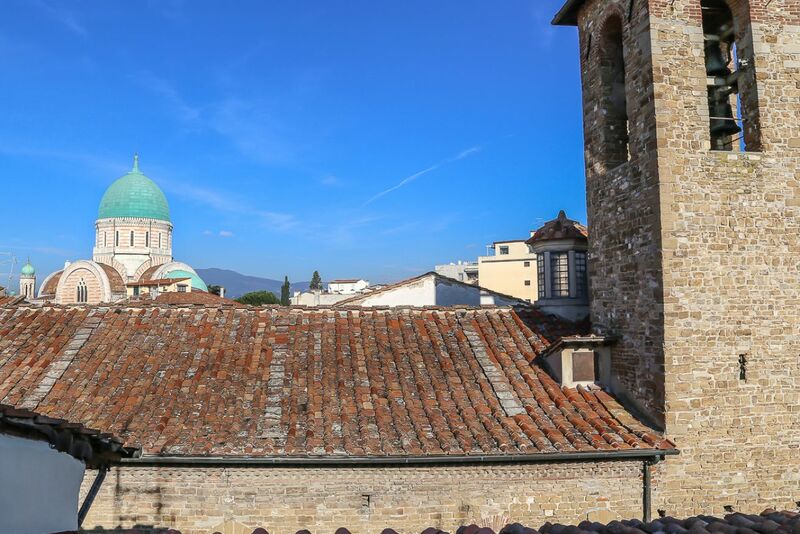 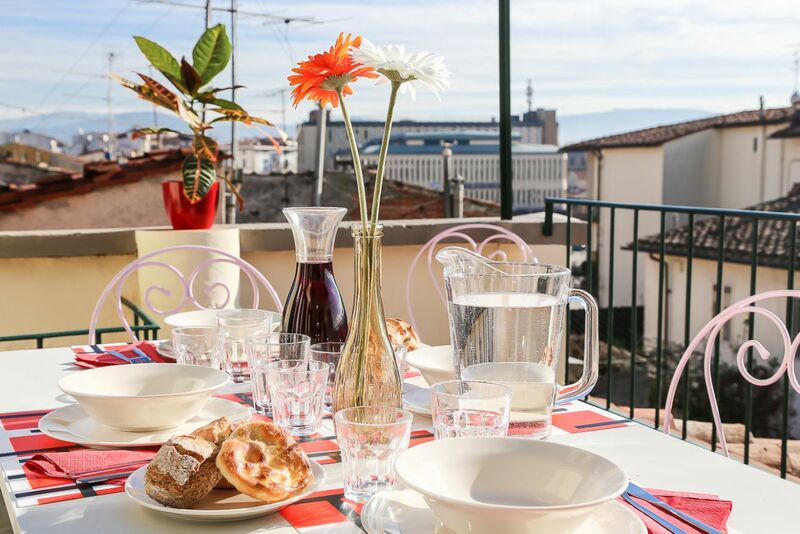 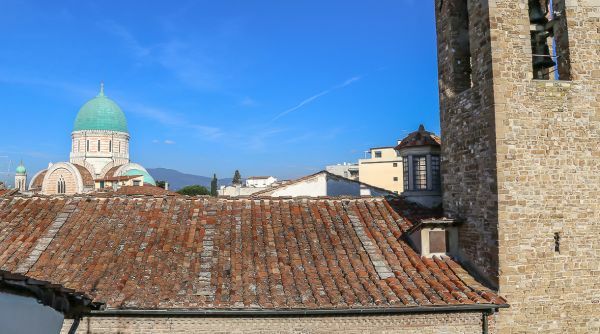 From the kitchen you'll have access to the simply stunning outdoor panoramic terrace, offering a wide and breathtaking view overlooking Santa Croce.. A poetic, relaxing spot where to enjoy a dinner with friends or a nice breakfast in the morning. 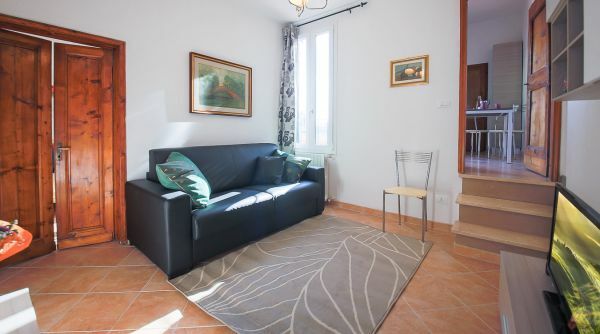 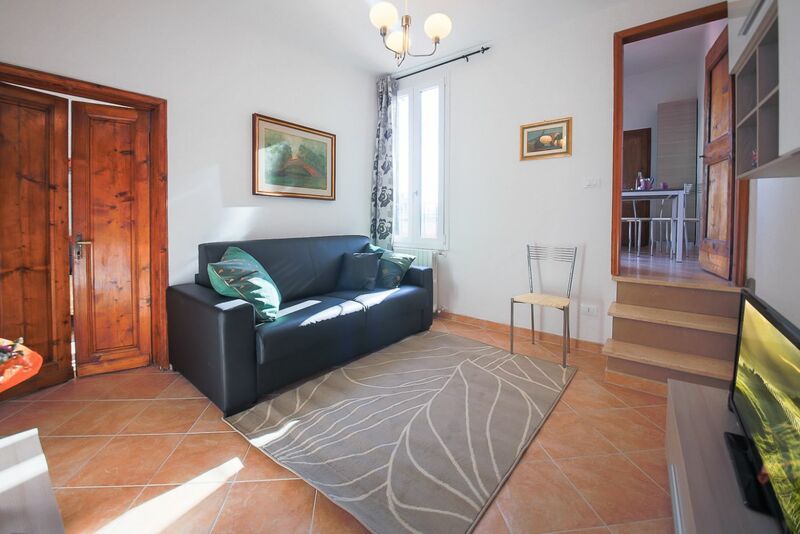 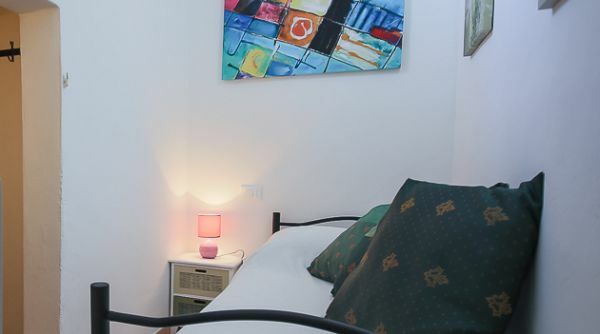 This apartment can accommodate up to five people, thanks to the double and single bedrooms and the sofa-bed. 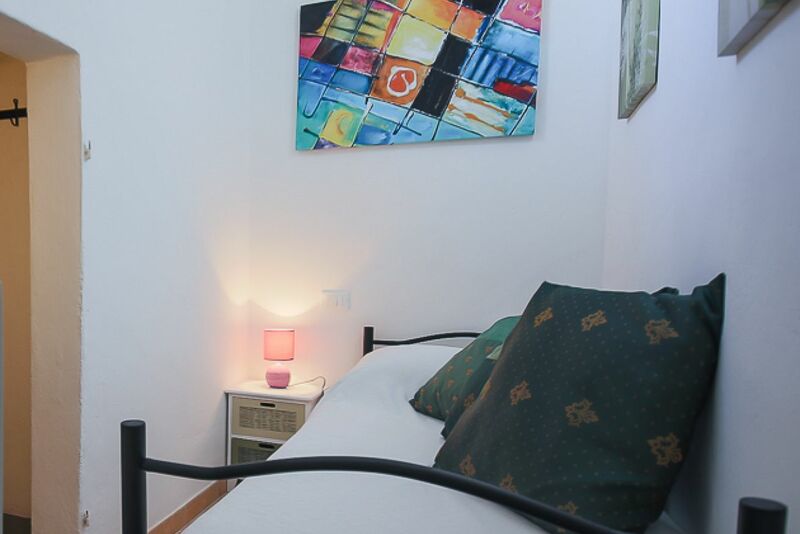 From the living room you can enter the beautiful master bedroom, filled with natural light, colorful and very well decorated, featuring a large queen size bed, night tables, closet and desk. 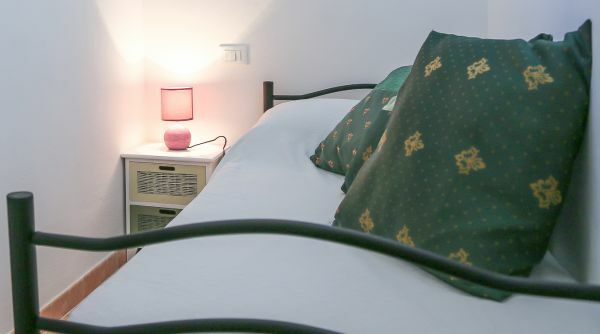 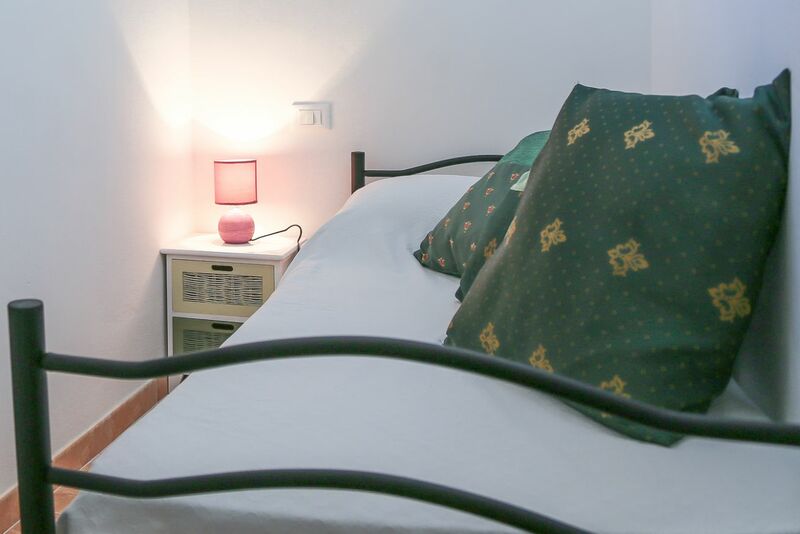 The second bedroom is tiny but well equipped with a nice single bed and night table, comfortable for one person to be able to relax and enjoy their privacy. 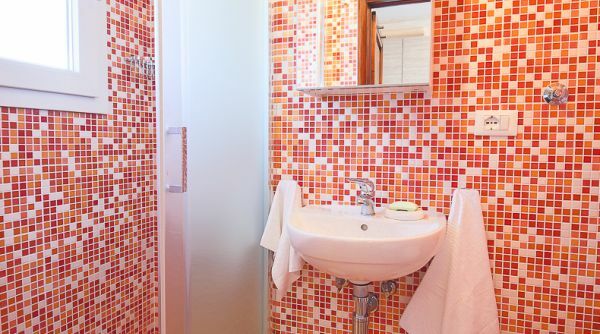 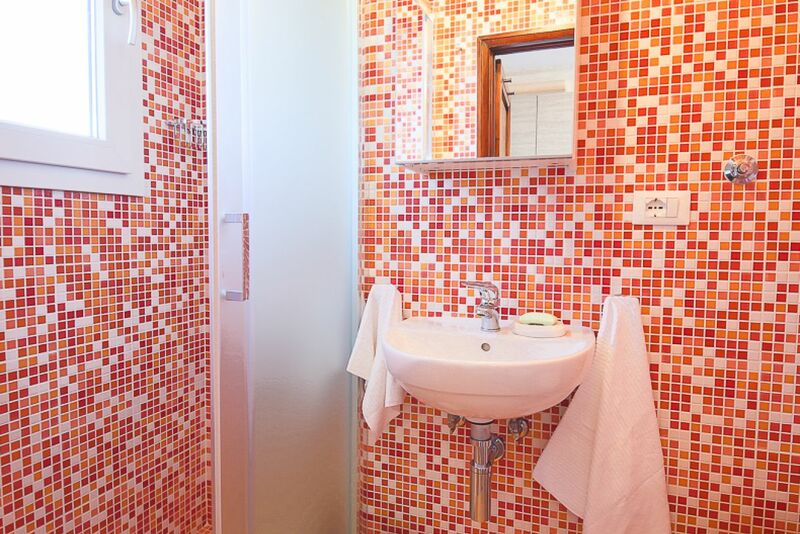 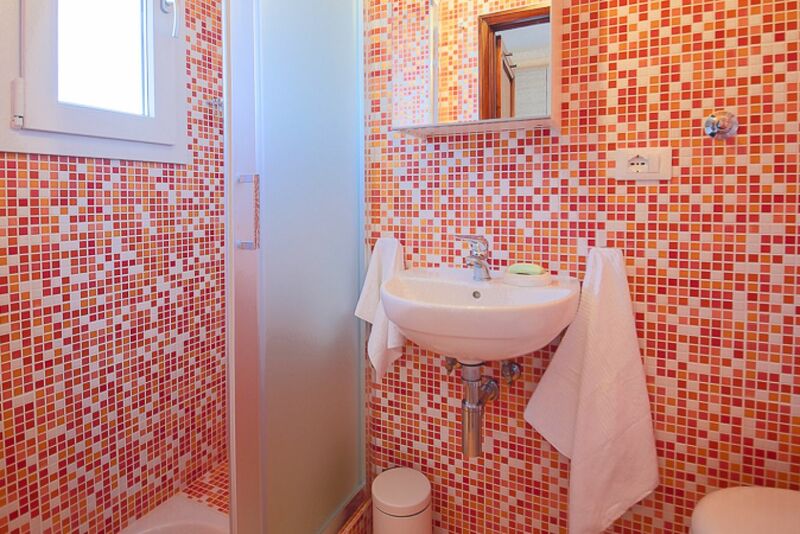 A finely renewed bathroom, with shower completes the property. 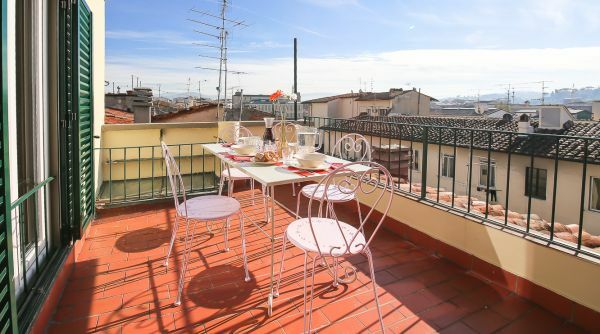 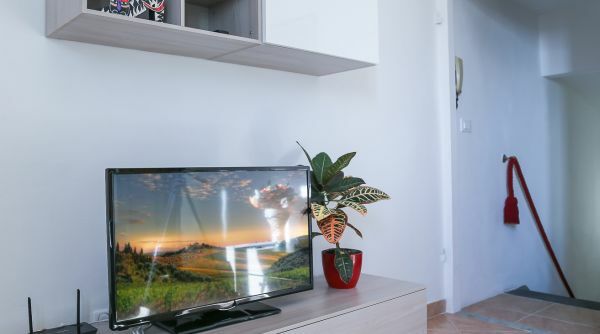 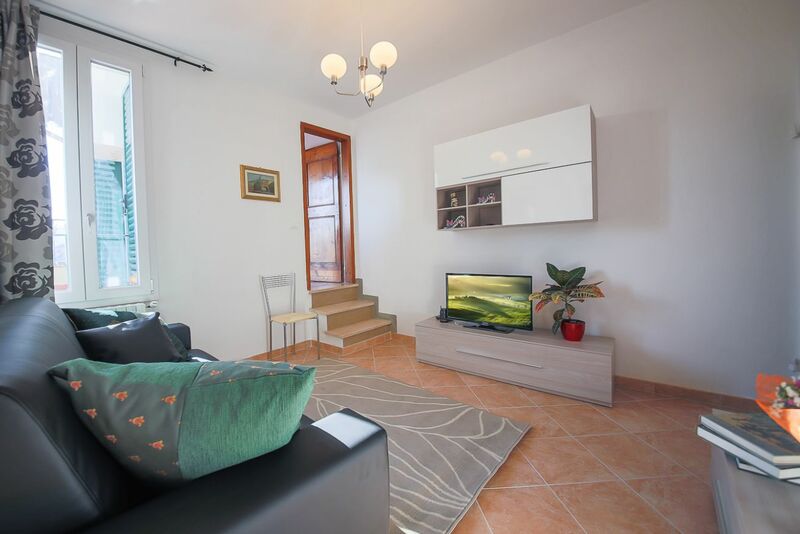 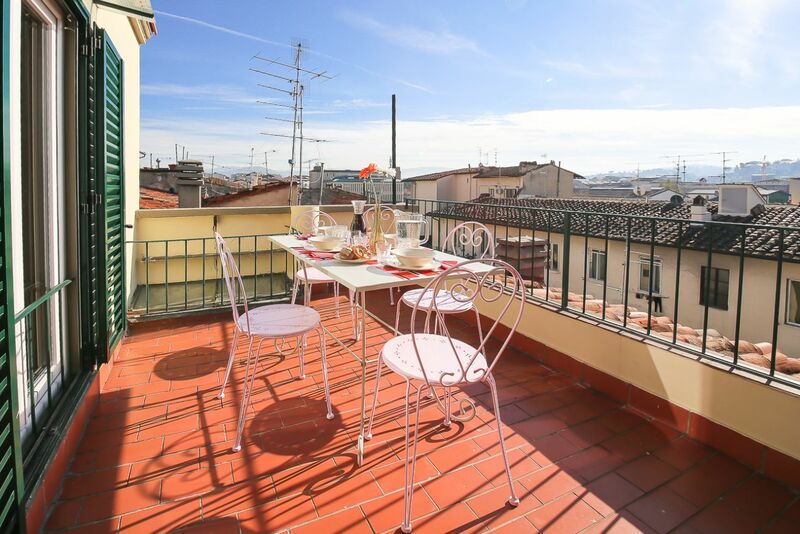 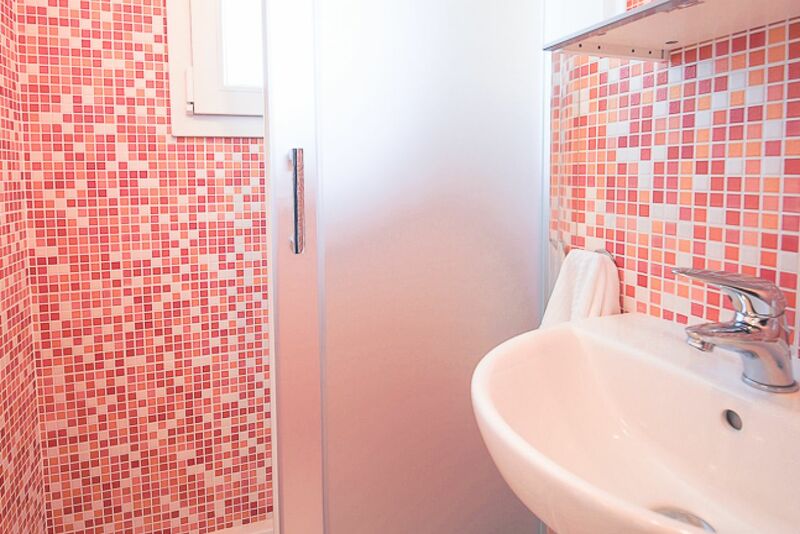 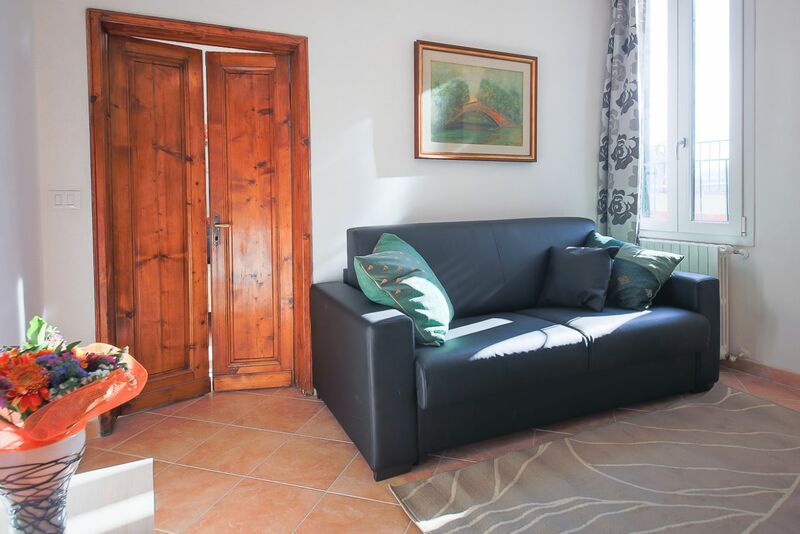 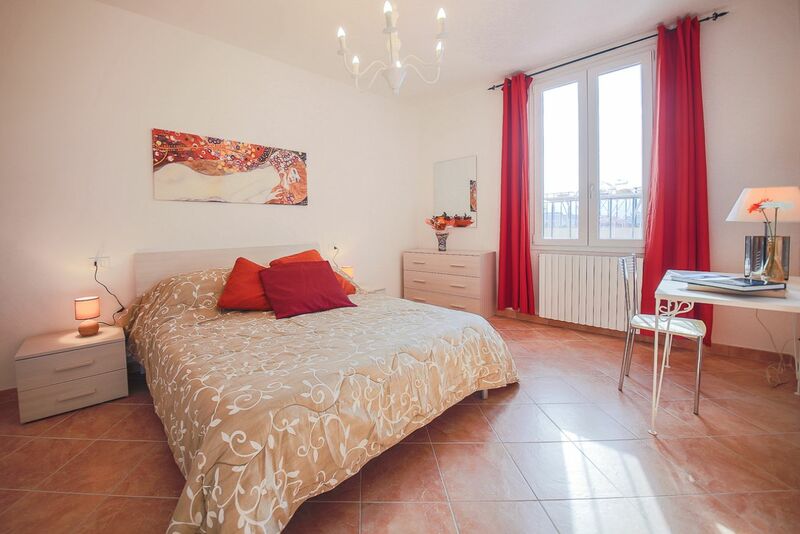 This wonderful apartment is suitable for any kind of guest, ideal for couples, families, groups of friends... the perfect location in the heart of the lively Sant'Ambrogio neighborhood. 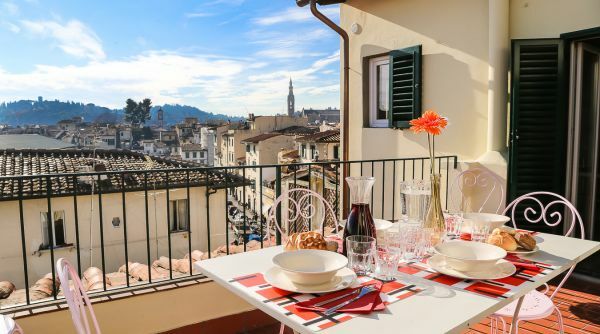 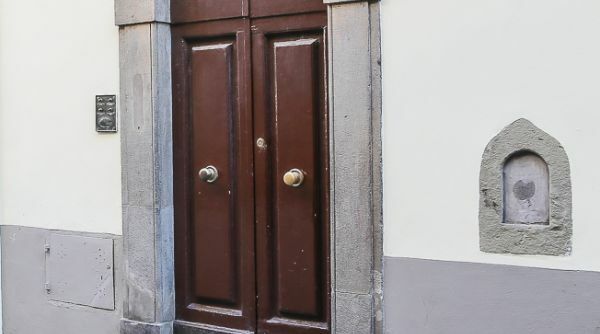 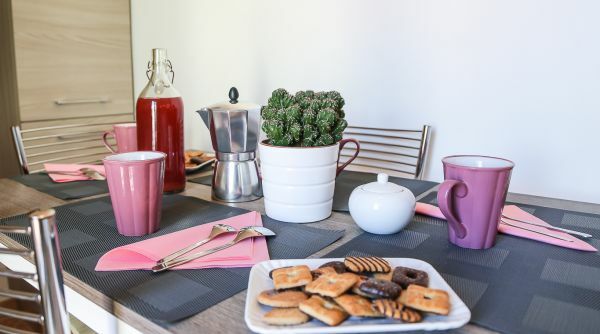 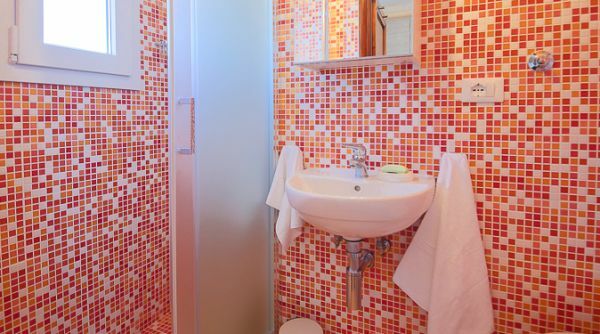 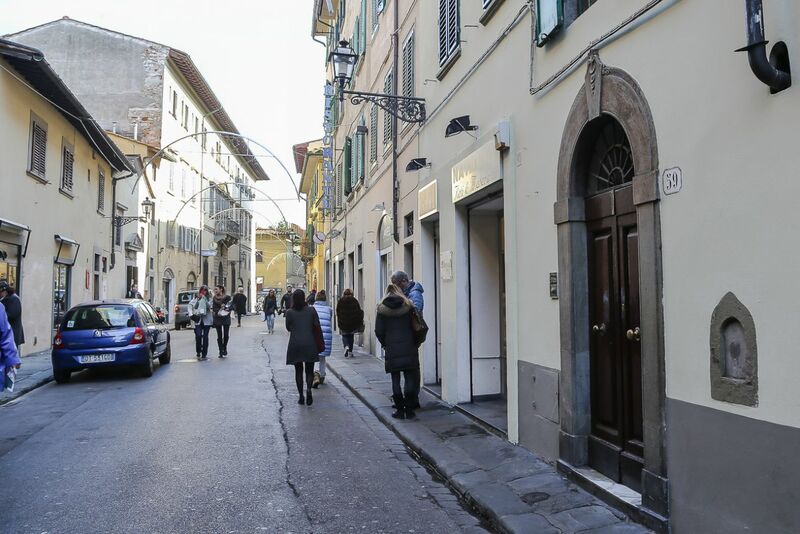 Choosing this apartment you'll get the chance to fully experience the true Florentine atmosphere, staying in a very typical area of Florence, filled with clubs, restaurants, workshops, markets and literally anything you may wish for during your stay. 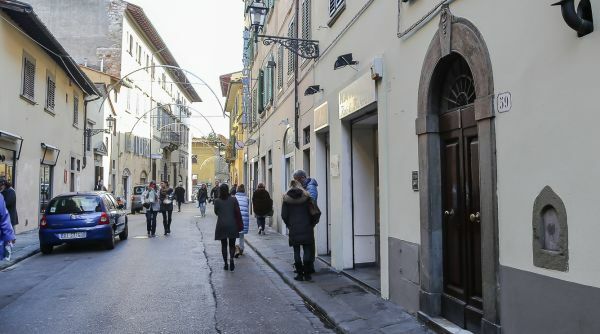 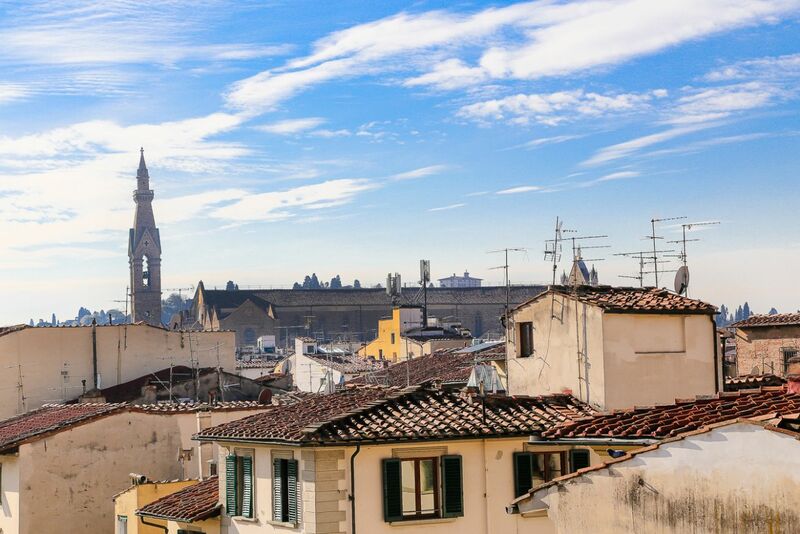 The city's many beauties and attractions are all just a stone's throw away: the Duomo, Santa Croce, Ponte Vecchio, Palazzo Vecchio, the Uffizi Gallery and the local Sant'Ambrogio market are all just a few minutes walk from the apartment!